Or 6 payments of $355.00 What's this? The key new features of the Petrel 2 include Smart Ready Bluetooth, for communication with iOS devices such as the iPad and iPhone, and a three-axis, tilt-compensated, digital compass. The Petrel Dive Computer incorporates a powerful feature set, easy to understand menus, easy to read full color display, Bluetooth wireless upload/download and a robust compact case. The Petrel has been designed to accept any type of AA size battery including alkaline, lithium and rechargeables. Out of the box, both Petrel models include open-circuit and closed-circuit Air, Nitrox and Trimix mixed gas functionality. The Petrel-EXT adds a Fischer 103 I/O port used for external PO2 monitoring of up to three oxygen sensors in a rebreather loop. Petrel computers offer a screen display utilizing a new generation of low-power consumption, high resolution QVGA, full color LCD display. The display will automatically adjust intensity based on available light to make the display easily readable whether on the surface in sunlight, in open water or in a cave. The full color display is used to convey additional meaning with the information being displayed. When information is yellow or red, it calls the divers attention to an unusual value or problem. With the large color display, a buddy or instructor can glance at your Petrel to determine your status. The Petrel is a full decompression dive computer incorporating the Bühlmann ZHL-16C algorithm, with user configurable Gradient Factors (GF). Gradient Factors allow the diver unique and individual control of their dive computer decompression calculations. Also new with the Petrel is a richly featured 'gauge mode' configuration. 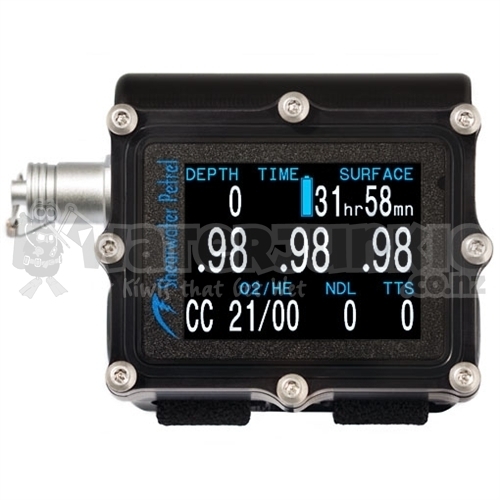 The included CCR mode for rebreathers provides the ability to perform constant PO2 set point calculations for deco. An optional PIN upgrade to the Varying Permeability Model (VPM-B and VPM-B/GFS) decompression Petrel side View algorithm is now available. 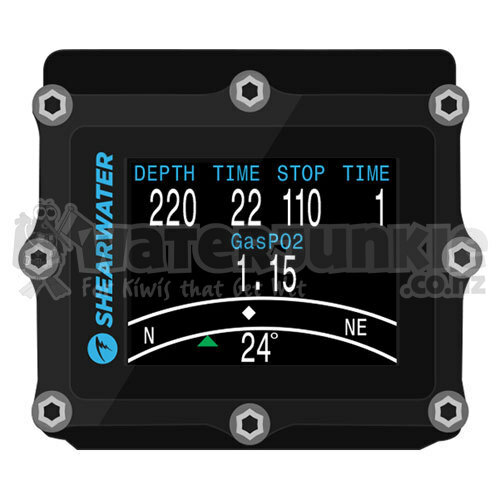 During a decompression dive, the Petrel provides complete information displays of all required stop times. The Petrel can provide time-to-surface based on "look ahead" at planned gas switches. Multiple gas definition presets are supported with any combination of oxygen, nitrogen and helium. 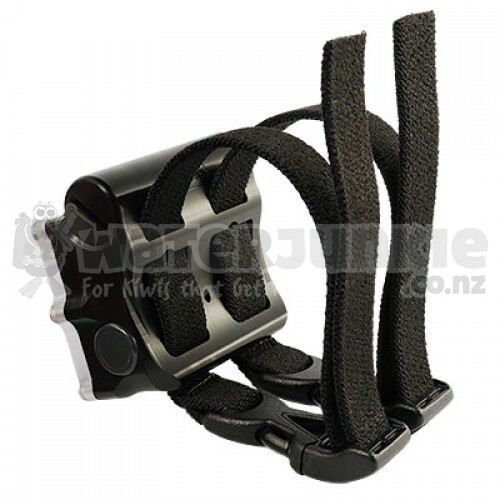 The Petrel will NOT "lockout" after a missed stop or ascent rate violation.